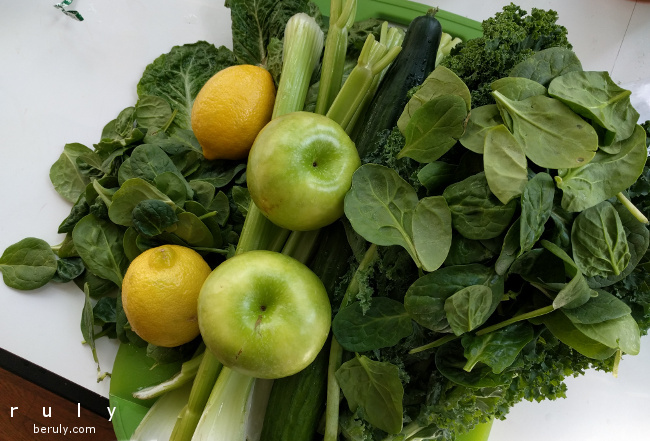 I completed the juice challenge! 5 days of nothing but juices. Generally, it went well! 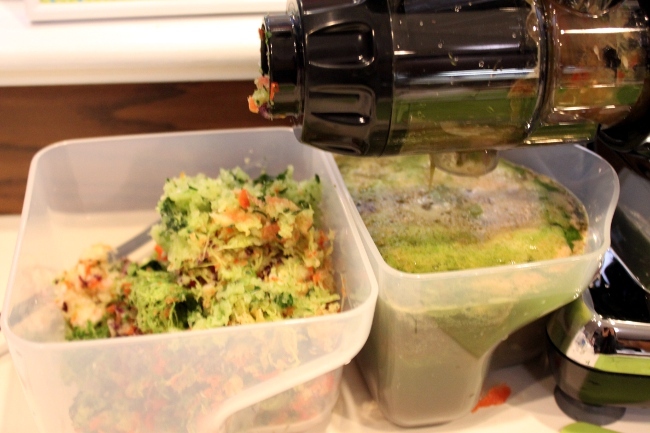 I was so busy making and drinking juices that I didn’t have much time to think about hunger or food. It was difficult to drink that much juice each day. Each day was organized similarly: 1) drink lemon water, 2) make two juices for the day, divide each batch in half and drink 4 servings throughout the day, 3) have coconut water mid-morning 4) end each day with vegetable broth and the “pear pie” juice which is so sweet and delicious it tastes like a sinful dessert. 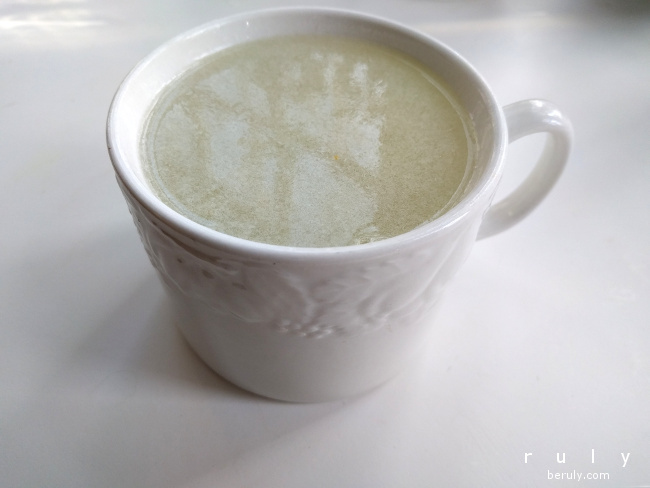 Each day started with warm lemon water. Each day ended with a Pear Pie smoothie which really tasted like a cookie. 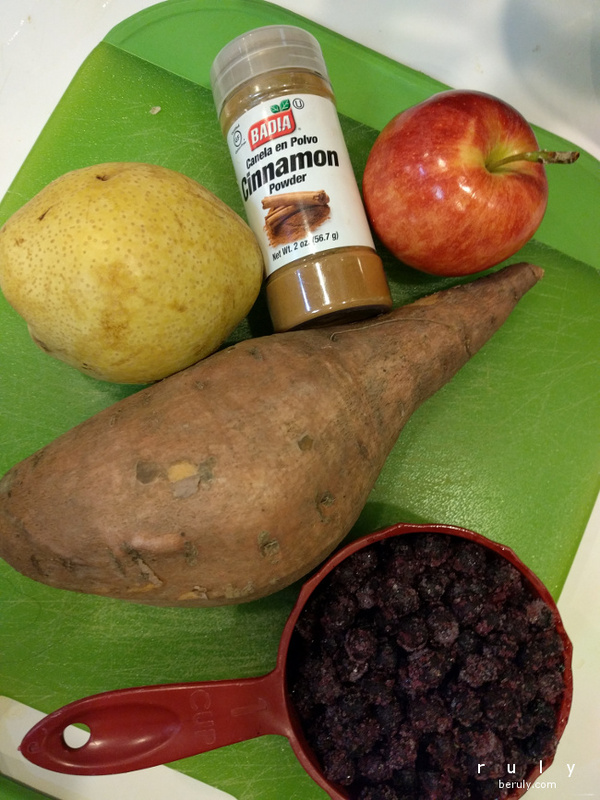 The cinnamon was wonderful! 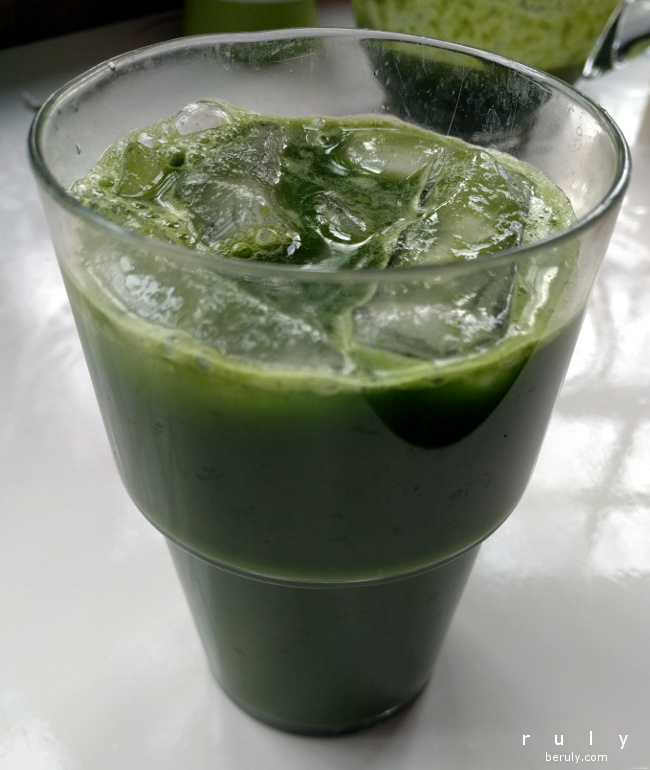 Joe’s “Mean Green” juice. A classic. I am probably the only one who is not crazy about this juice. 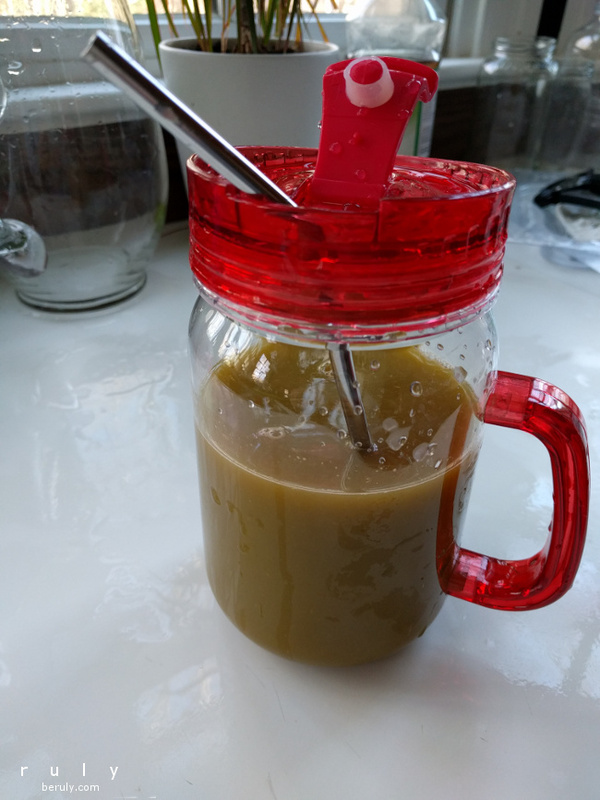 For a green juice, it isn’t bad, just not my favorite. 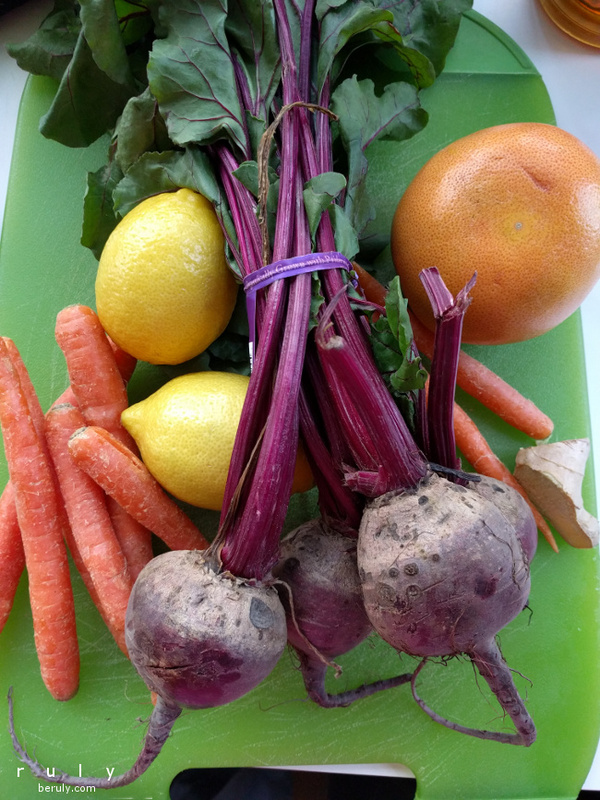 Sunny Citrus Beet juice. I generally like purple juices. This one wasn’t bad but the grapefruit made it a bit sour for my taste. 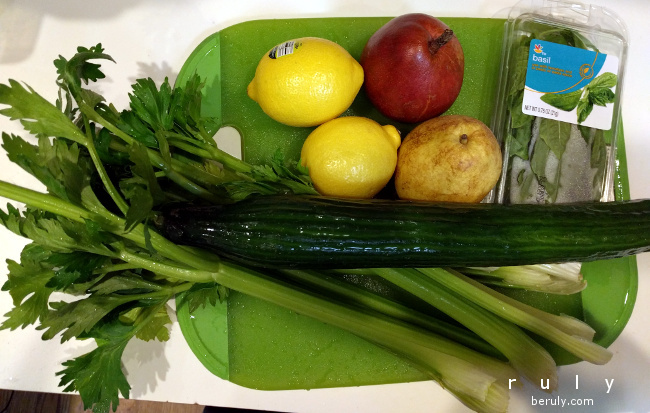 Ingredients for Morning Green Glory Juice. 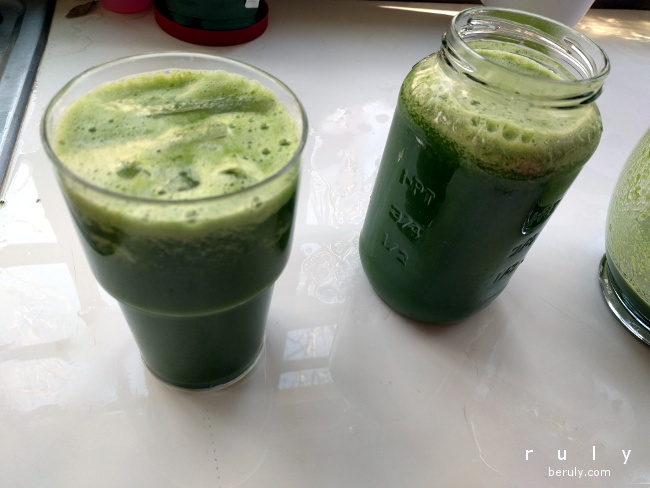 Morning Green Glory Juice. This was my least favorite juice of the challenge. The Radiant Anti Oxi Orange Juice to go (as I was on the way out the door to lessons for my kids). 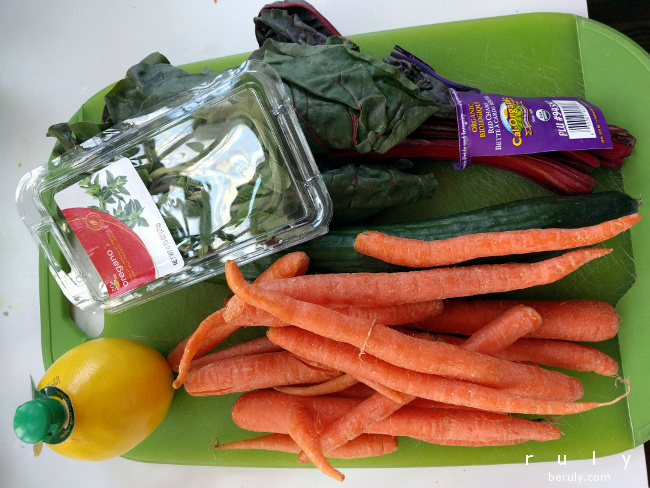 For this day, I got to test what this juice challenge would be like for someone with a full time job outside the home. We were spending the day skiing so I had to make all the juices the night before and store them in portable containers. It was a lot of work at night when I was tired but generally it worked out fine. 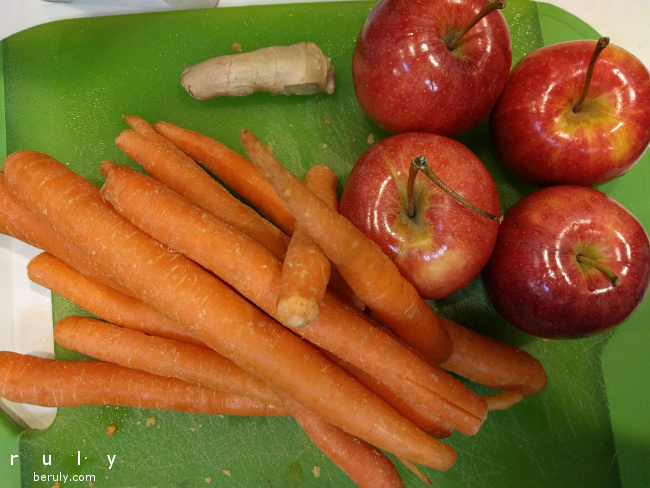 Ingredients for Carrot Apple Ginger juice, one of our family’s favorites!! 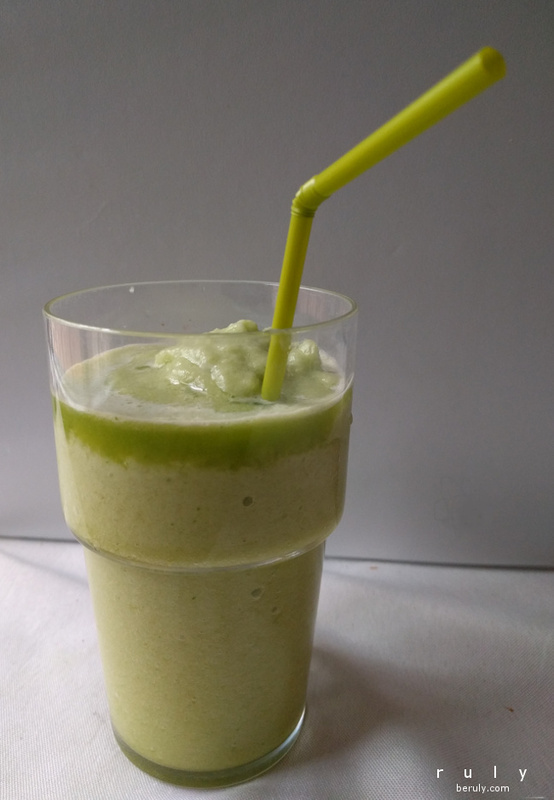 Pear Power Juice, a curiously delicious mix of pears and basil….very gourmet! 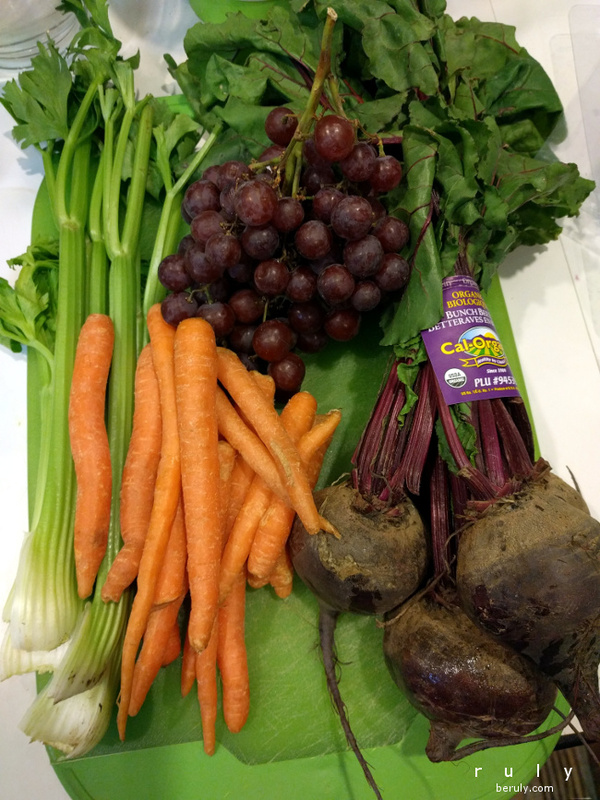 Ingredients for Chard Rock Cafe juice. Chard Rock Cafe juice. Not one of my favorites but the oregano was interesting to taste. 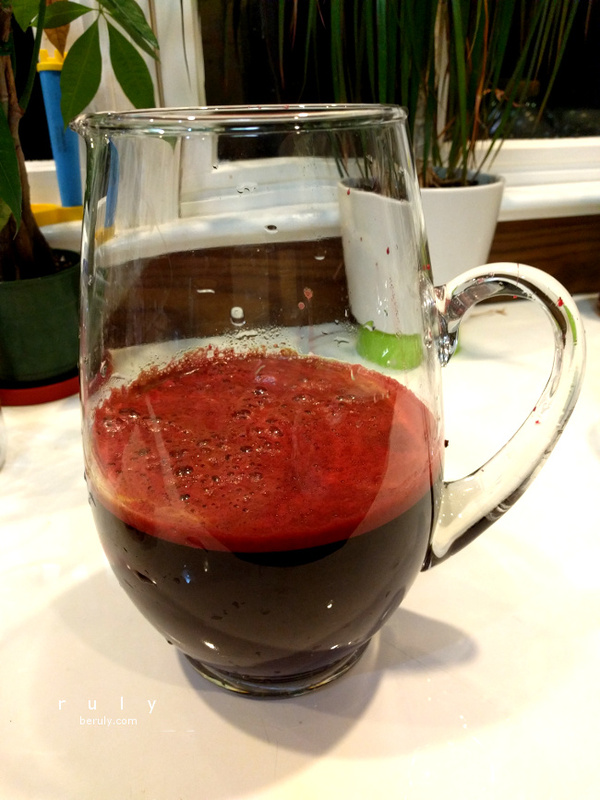 Anti Aging Beet Grape Juice. I liked it! Sweet. 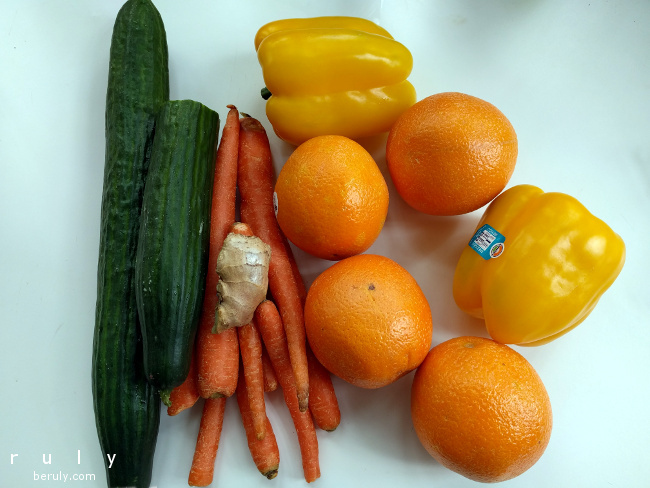 Ingredients for Calcium Rich Cucumber — one of my favorite juices! 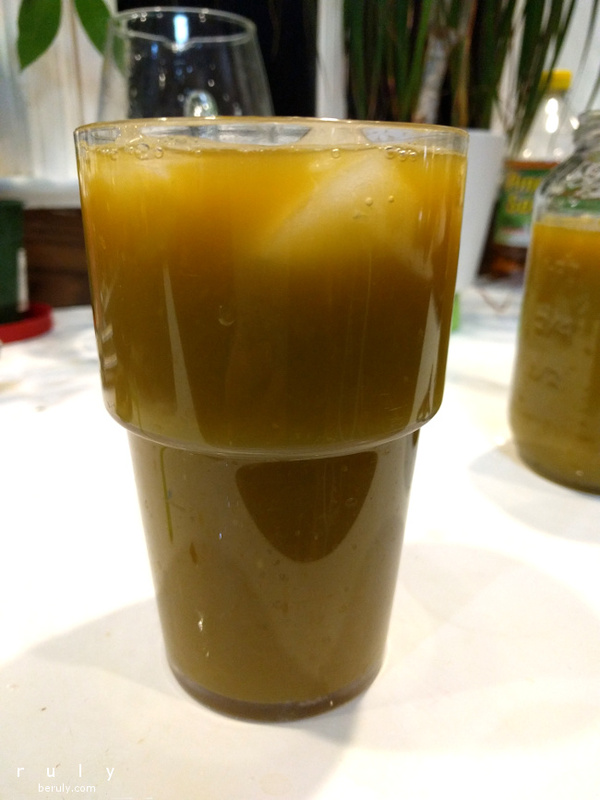 I always make this one as a smoothie by blending the frozen pineapple rather than juicing it. 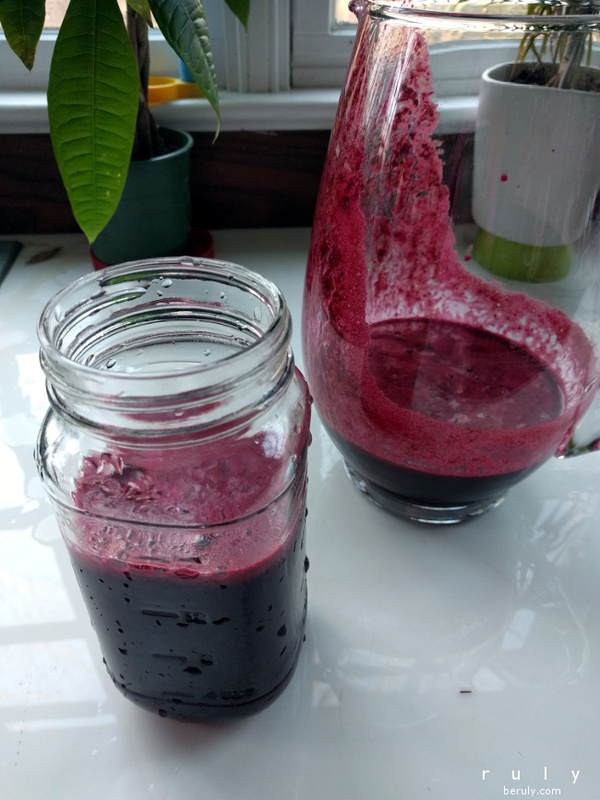 Micronutrient Madness Juice. 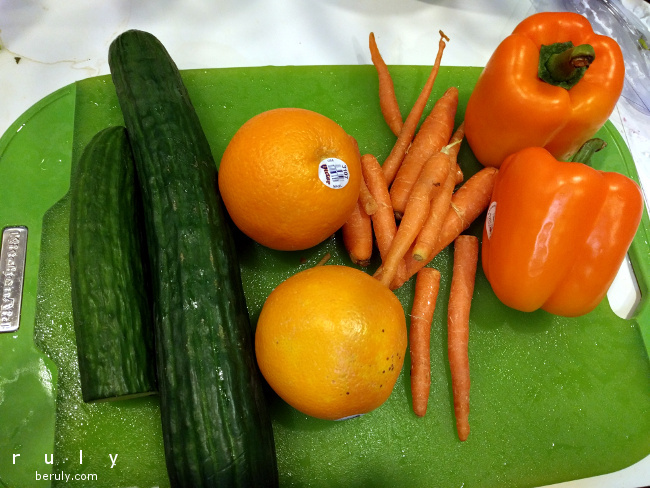 You could probably make this more orange by peeling the cucumber before juicing. 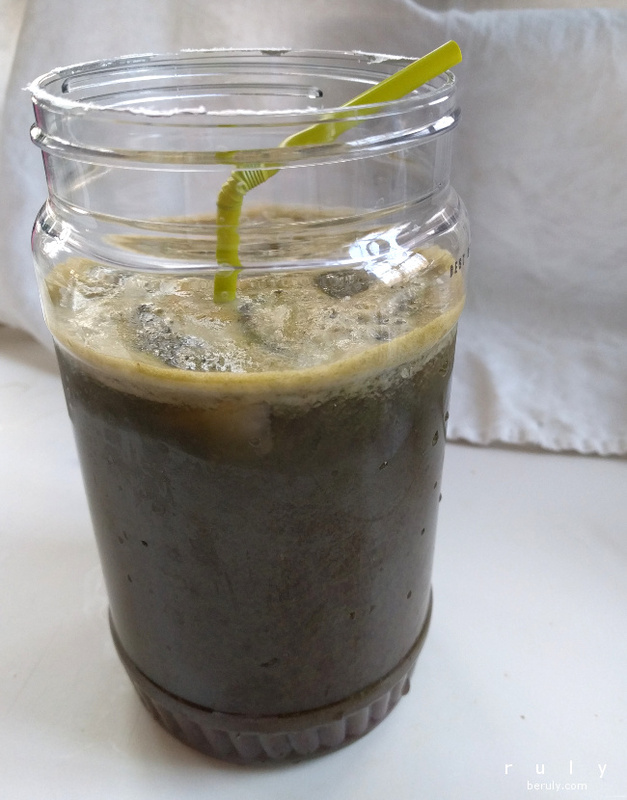 Unlike last time I did a juice cleanse, there was no nausea in the early days. 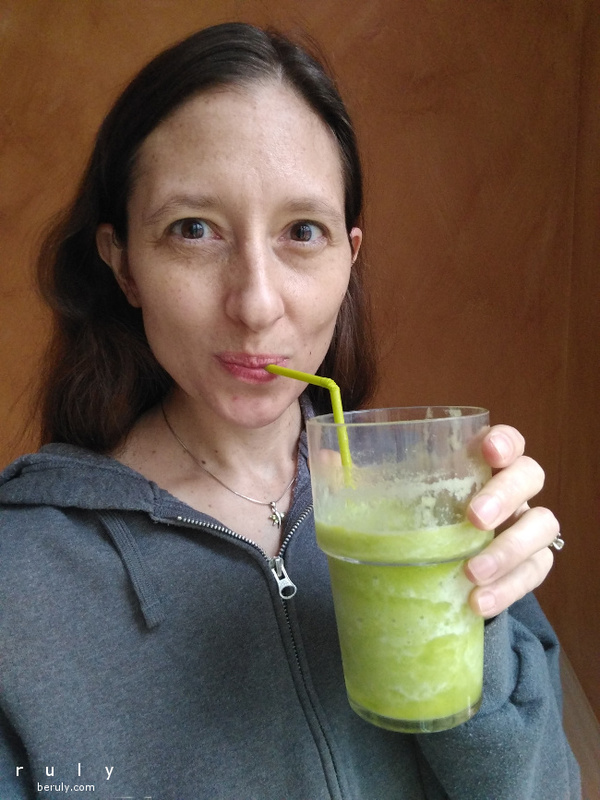 I am not sure if that is a sign that I am getting healthier or if drinking electrolyte juices like coconut water and vegetable broth really makes a huge difference. 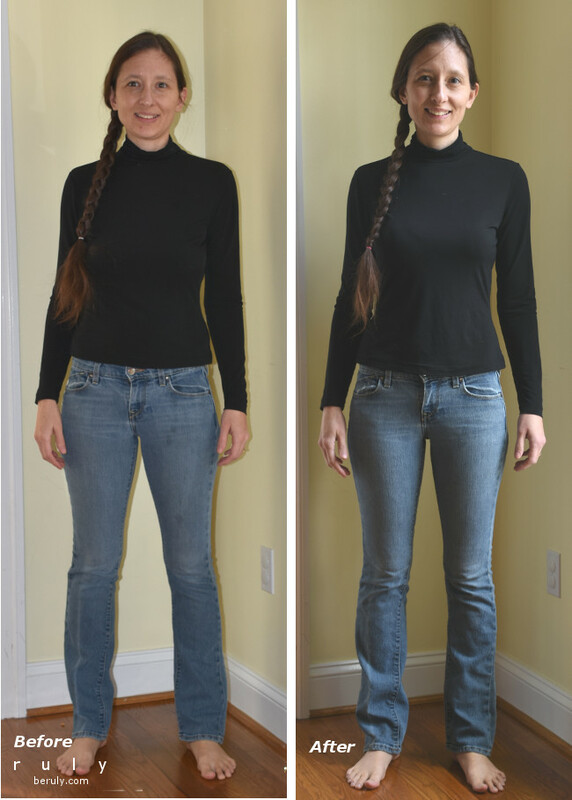 I lost a total of 7 pounds at the end of the juice cleanse, including 2 inches off my waist, which was a great reward for my efforts. 1)	Having a lot of water/fluid in your body really does decrease hunger. 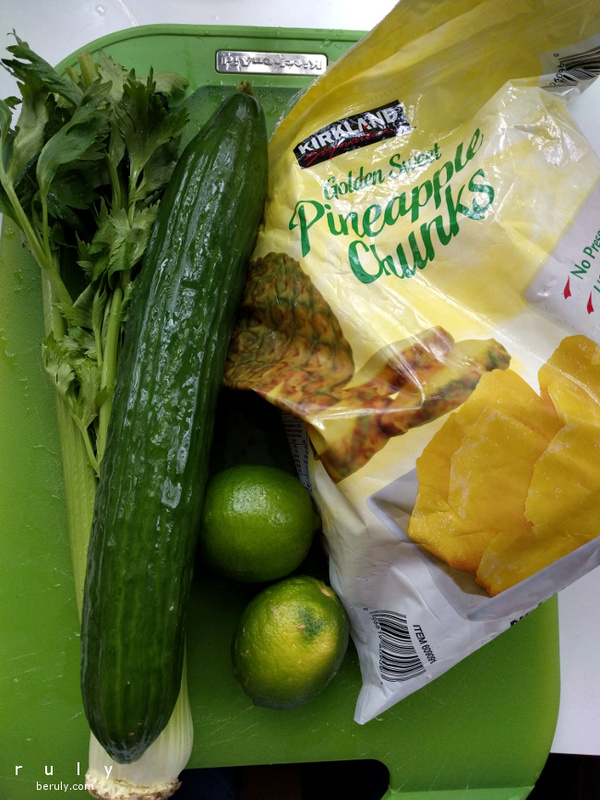 2)	It still continues to be a challenge to find time to cook healthy foods, whether juices or meals. No matter which healthy eating plan I try, I have to plan on at least 30-45 minutes per meal. Until there is an affordable fast food option for clean eating, I have to figure out how I can work more cooking time into my schedule. 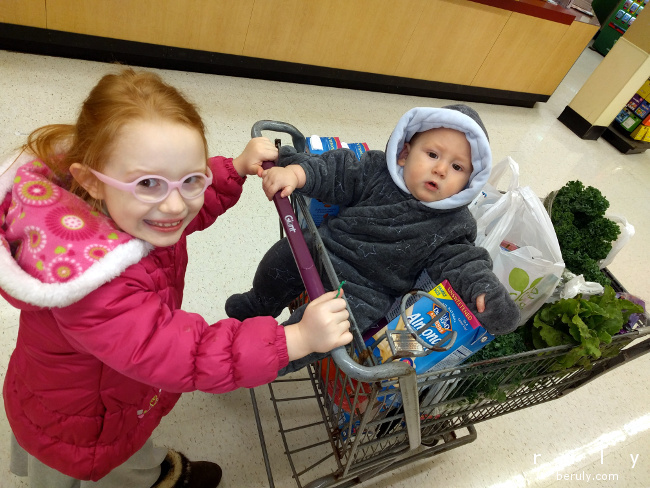 3)	Setting a good example for my children really did show results. 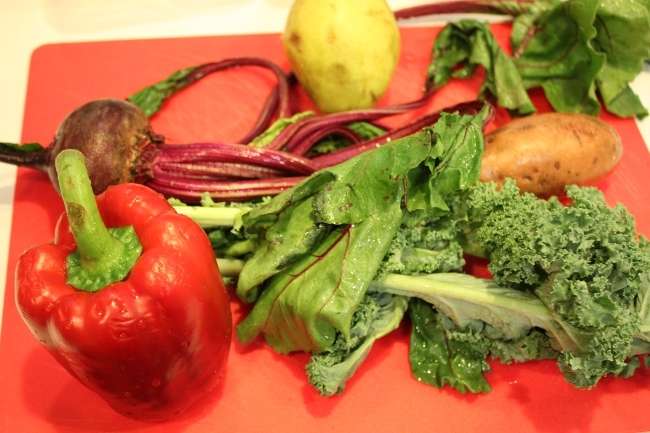 When they saw me eating all this fresh produce, they were more tempted to try fruits and vegetables themselves. 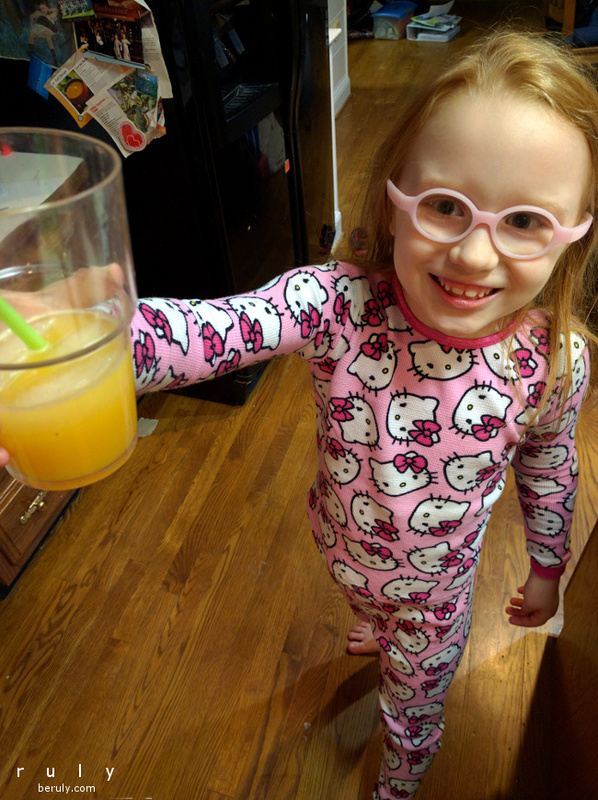 They discovered they liked Bolthouse Farms’ Amazing Mango juice, they juiced their own fresh orange juice and ate more butternut squash soup than I have ever seen them eat before. 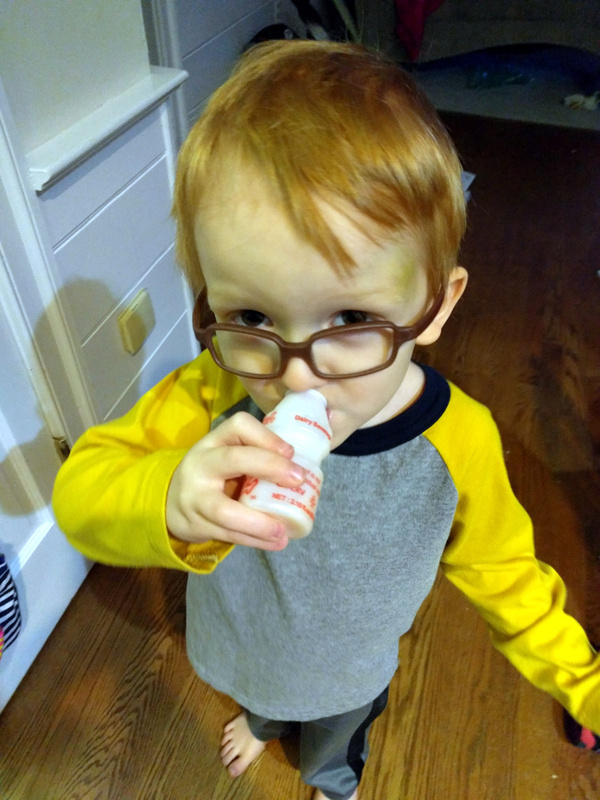 My son began raiding the fridge for any products with sugar in them and decided he quite likes kefir! 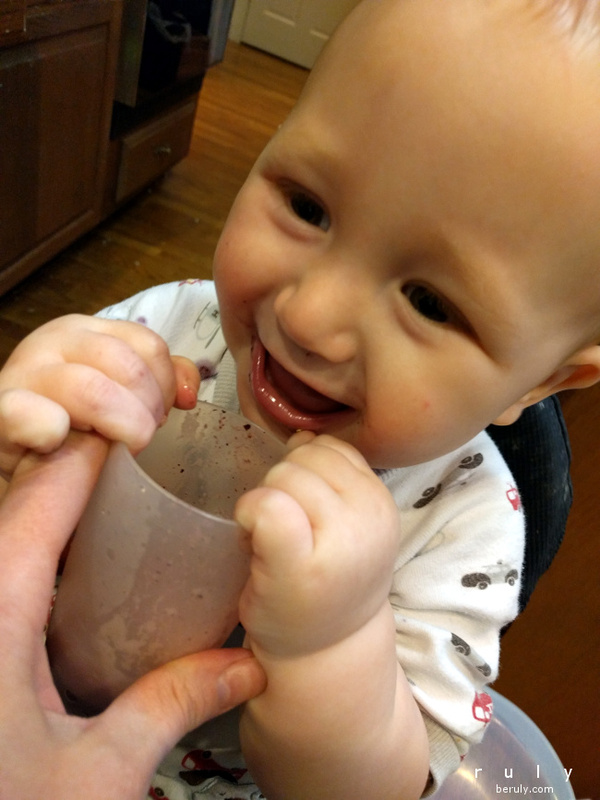 Babies like Pear Pie smoothie too! 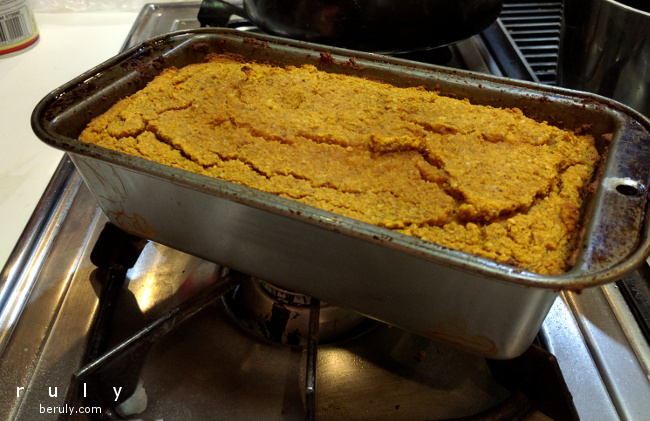 We made this gluten free banana pumpkin bread. The kids said it was not great but did eat it because it was the best “sweet” we had in the house. 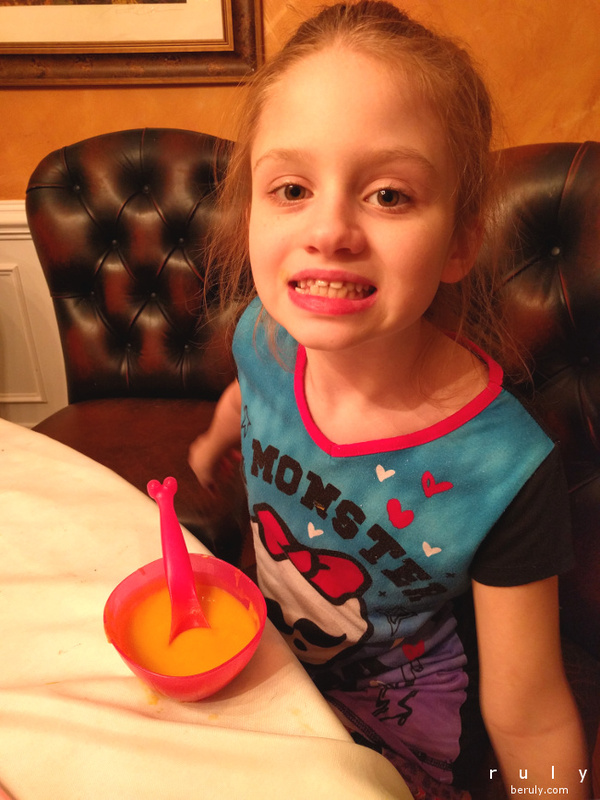 This child has never eaten so much butternut squash soup! 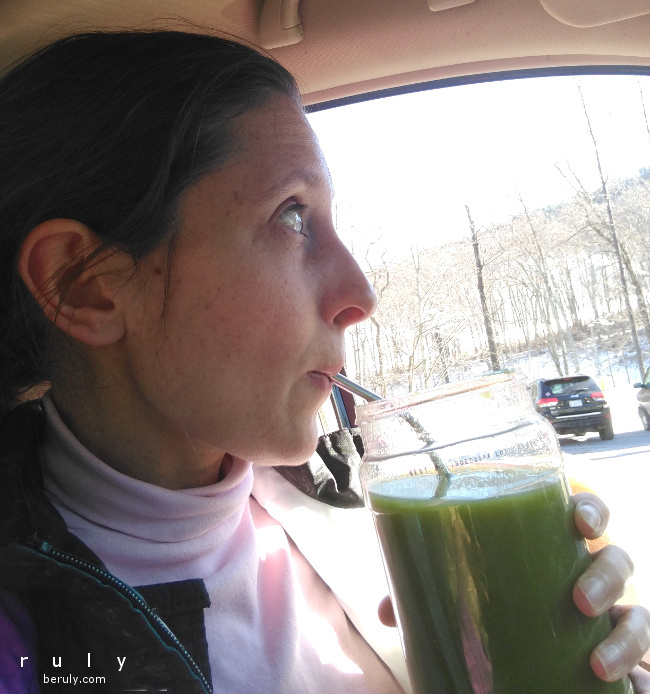 I wish I could say the juice cleansing was sustainable and I continued to juice and eat healthy after it ended. Unfortunately, once the restrictions were gone, it was back to feasting as usual! 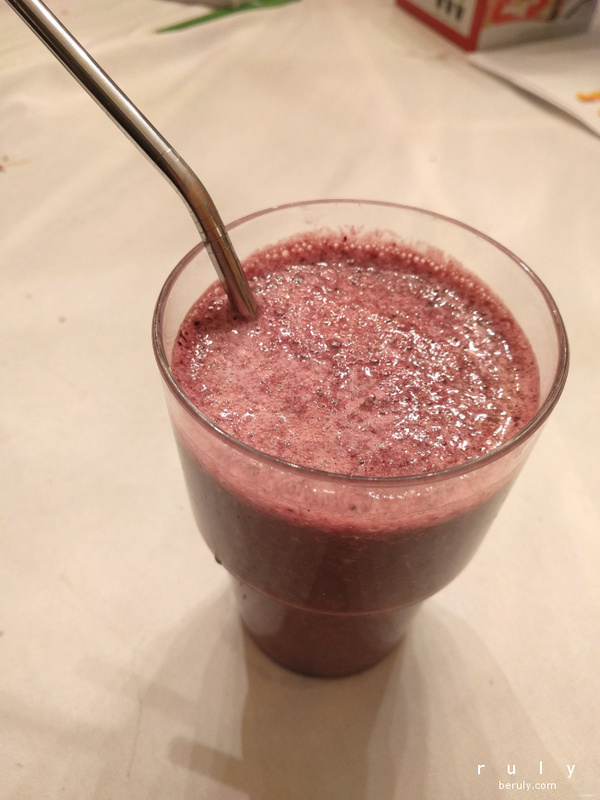 It is very hard to “juice” in the cold of winter. I think my best bet at this point is to try to plan out a week of soups. If I am following a prewritten plan, I seem to do much better than just winging it and “trying” to eat healthy. 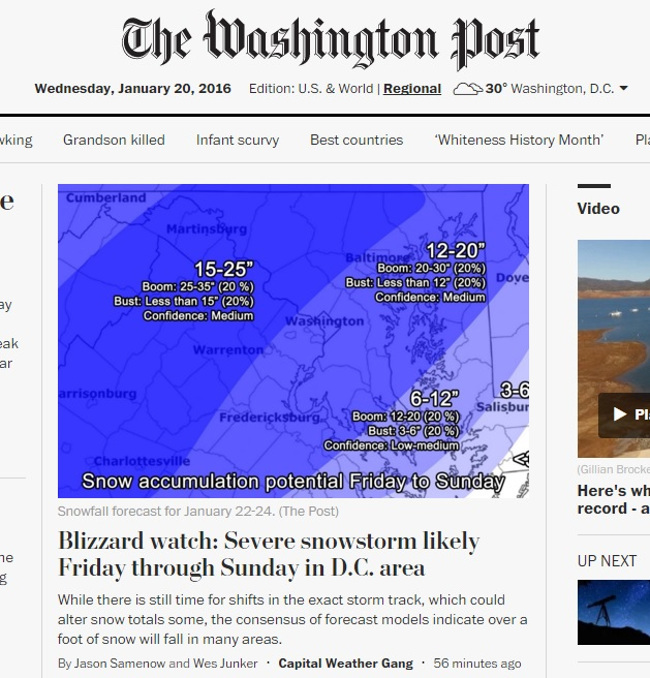 So now for this weekend’s challenge…..a blizzard! I am finding it hard to take seriously all the snow drama. It is so over the top! 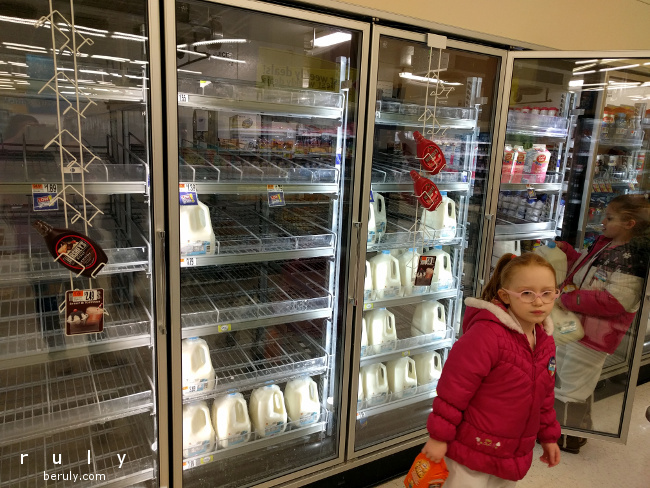 Sorry folks….all that’s left is the skim milk and the fancy organic stuff. Maybe this storm really will give us two feet of snow. Maybe it will paralyze everything for a week. 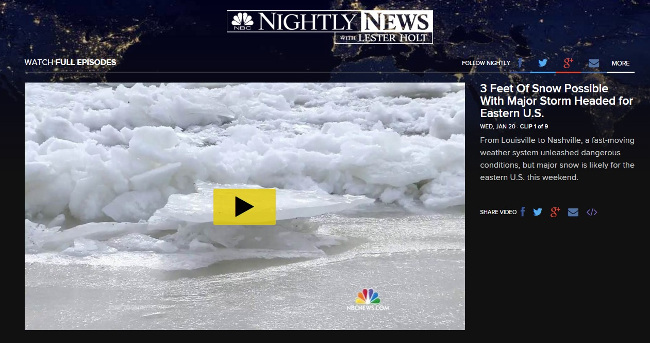 But maybe it will also be less than predicted. Maybe we will be fine. Let’s hope! Be warm and stay safe to those affected!